This January–December 2019 calendar notes dates for justice and peace awareness or action days. Learn more about the ecological issues that are threatening the health of God's creation, and what you can do to promote eco-justice. 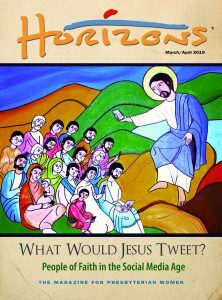 This guide provides essential information for Presbyterian Women (PW) treasurers and Celebration Giving representatives. The use of drugs or alcohol can be problematic for some individuals, leading to struggles with dependency or addiction—substance use disorders (SUD). Presbyterian Women can demonstrate love, concern and prayers for the children affected by Hurricane Maria in Puerto Rico. 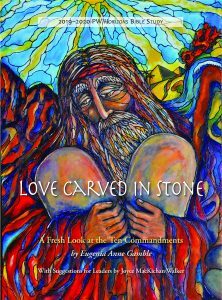 The 2019–2020 PW/Horizons Bible study is Love Carved in Stone: A Fresh Look at the Ten Commandments by Eugenia Anne Gamble.